After a week in rural Sumbawa we got ready to hit our next destination: Bali. One of the most renowned tourist spots in all of Indonesia. Known for its beautiful beaches, its colorful culture, its amazing landscapes and its wide range of fun activities depending on where you go on the island: surfing, diving, yoga'ing, hiking & partying. Leon hadn't had his surf-desire completely satisfied on Sumbawa and went down to the South-coast of Bali accompanied by his brother. Here they met up with their parents who had flown in from New Zealand for a "little" Bali get-away and to be with us. I traveled in-land alone to Ubud to explore Bali's cultural centre and the yoga culture I've heard a lot about. And I mean really a lot. 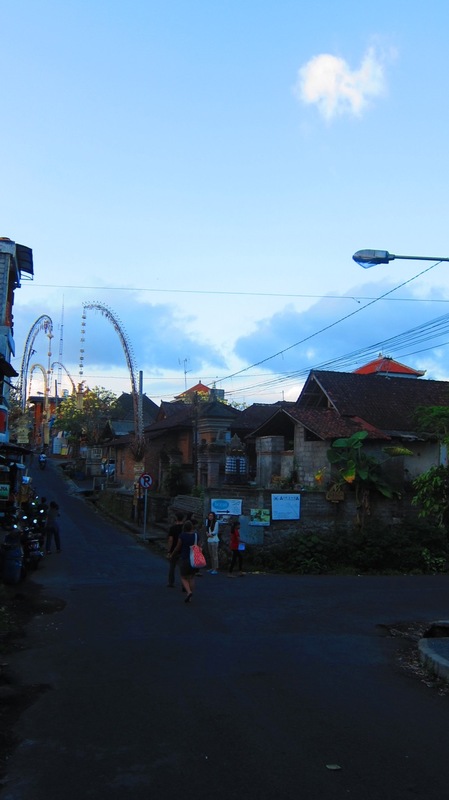 Though Ubud is a super cool spot I did not really feel the "Zen" vibe I was expecting. Rather I felt I had gone straight from an unexploited paradise on Sumbawa to a very very popular paradise on Bali... There is indeed yoga, smoothies, health & buddhas everywhere in Ubud but there's also scooters, shops & tourists en masse. I stayed in the heart and most busy part of Ubud and I fairly quickly started missing Sumbawa's open space & ruralness, maybe where I found the real Zen. Oh and as the Aquarius I am, I of course missed the beach & the ocean. It didn't help that Leon send through shots from their paradise at Bali's south coast - do make sure to plan a trip to Bali's beautiful beaches if your planning to visit Ubud. 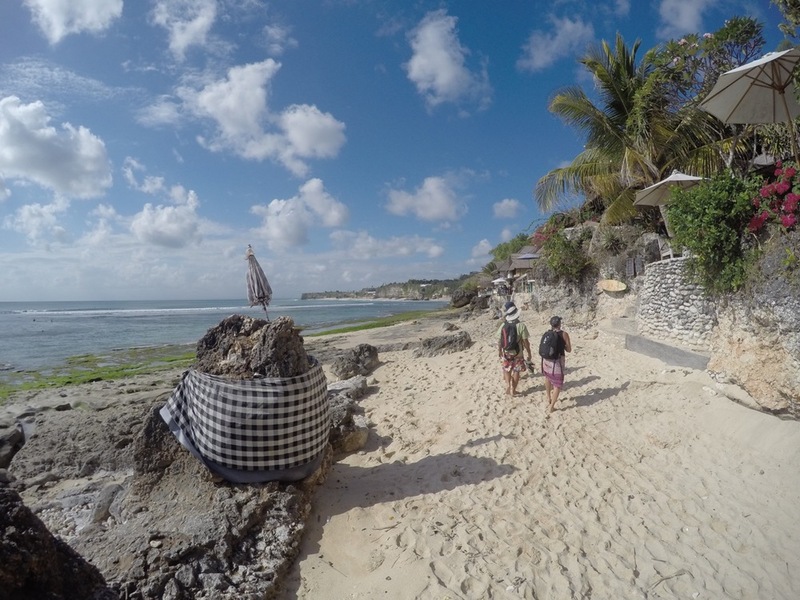 Though the beach areas on Bali tend to be quite touristy as well, it seems stunning - see Leon's shots below. The car ride from Bali's airport Denpasar took almost 2 hours where it felt like more than half of it was being stuck in traffic. I later learned that: that's Bali, looots of traffic. I had booked the driver in advance through a friend and paid 200.000 IDR which is an okay deal. Book Wayan through email wal1009@yahoo.com or give him a call +62 81 916 544 456 and he'll be ready in the airport with your name on a stick! =) I read online that you easily can catch a bus as well for only 60.000 IDR but I liked the idea of being taken straight to my pre-booked home-stay in Ubud. Now that I know Ubud I'll probably take the bus next time, depending on the amount of luggage as well. I didn't mind the slow-paced car ride, Bali's in-land scenery is absolutely beautiful. Colorful Temples, flower decorations and Hinduism Gods everywhere in all forms. The driver took me to my pre-booked home-stay in the heart of Ubud: Inten House. Inten is the owners' daughter and such a little charmer who hugged me as soon I arrived. I was really happy staying here for my 4 nights alone in Ubud - the home-stay is located on a lane off the main road and very quiet but still close to everything in central Ubud. You'll find home-stays everywhere in Ubud and it's literally like small family-run hotels where you get your own little part of the family's house. The part which most likely has been renovated to match the needs and expectations of modern travelers. My main purpose with going to Ubud prior to the rest of the family was to explore the yoga culture here and as soon as I arrived I went to sign up at Yoga Barn. There's a lot of yoga offers in Ubud but The Yoga Barn is the main hub for yogis. Go for a drop in-class, a green smoothie, a FREE community class (I went for a great class on Astrology with Levy) or visit their Yoga Barn Cafe. I bought a card with 5 classes for my days here in Ubud and I especially enjoyed the Power Yoga classes with Denise which are some of the more advanced classes. Most classes in Yoga Barn is suitable for beginners and the whole vibe is super relaxed. After my yoga classes I mostly went to the "Kafe" not at the Yoga Barn but in one of the main streets of Ubud very close to Yoga Barn. It's the same owners as Yoga Barn and it's a great place to get a western breakfast, a yummy coffee & chill out with a book or a blog. Lots of vegetarian and vegan options of course - That's Ubud! ...And I was excited to go to the famous monkey forest! It is located only 10 minutes walk from my home-stay Inten House but I just had to wait for Leon to come and enjoy the monkeys with me. We love monkeys! Have you ever been to Ubud and what do you think about it? I've heard from some people it has changed a lot over the last 5 years and it used to be much more chilled. Maybe popularity has its price or maybe it's not ideal to stay in the most exciting & busy part of the town? Reunited with the family we stayed a little bit out of busy Ubud (which I was very pleased with as you can imagine) and we'll soon share a post about the great time we had in Bali's jungle & in this bamboo Paradise!